"Happiness is... receiving what you ordered online." A few days ago I received my order or rather a part of it from Nastydress. Unfortunately just a partial order was shipped out but more about it later. First I want to show you the two sweaters which arrived on that day. A cloud and star printed pullover. The moment I saw this sweater on the homepage, I knew that I’d like to have it. It seemed to be so fluffy on the picture and as I opened the package it didn’t disappoint me. It’s a cosy, cuddly sweater which is true to size but its colour isn’t grey like it’s mentioned on the site, it’s rather a light brown but it still looks good. I've had yet one problem with it: the yoke on the textile was sewed wrong and therefore you can’t make it nice flat. If this would be for example an office outfit, it would bother me but not in this case. A dolman sleeve sweater in colour purplish blue. 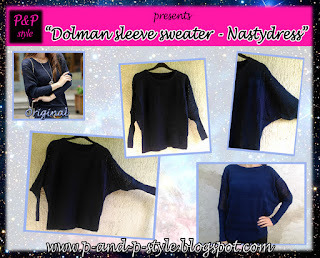 I've always liked dolman sleeves which is the reason I chose this. It’s true to size (one size, XS to M) and its colour is like shown on the picture in the online store. Overall I can say that I am satisfied with these sweaters. They had a processing time of 3 business days which means that the items were shipped out within 3 days. To my order I also added a jacket which I really wanted because my own leather jacket started to peel off. That should have been sent out within 7-15 business days. A few days after placing my order I received a message from the store that my order was sent out. I was really happy about it till I saw the details: my package was sent out without the leather jacket. They put the label „pending shipment” to the item but I didn’t get any information about what it means or what will happen next, whether I will receive the jacket later or not. I contacted one of the staff of Nastydress who told me to choose a new item. I picked another leather jacket but it wasn’t sent out either and the item went out of stock therefore I needed to change my choice again. Later I got a nice respond which said that my new choice will be sent out within a few days. I will update this post later and I hopefully can add a review about this striped sweater and skirt twinset that I selected instead of the jackets. Well, stay tuned. I will definitely update this post. Till then feel free to leave a comment below. Tell me what you think about my new sweaters and about my experiences. I really enjoyed your choices, I hope you receive without problems! The cloudy sweater is really cute! Sorry you only got part of the order though. Nice post. Can you increase the size of pictures? they are really small? Maybe you have time see my new post Pants on Fire Love these! Great to hear you like them! 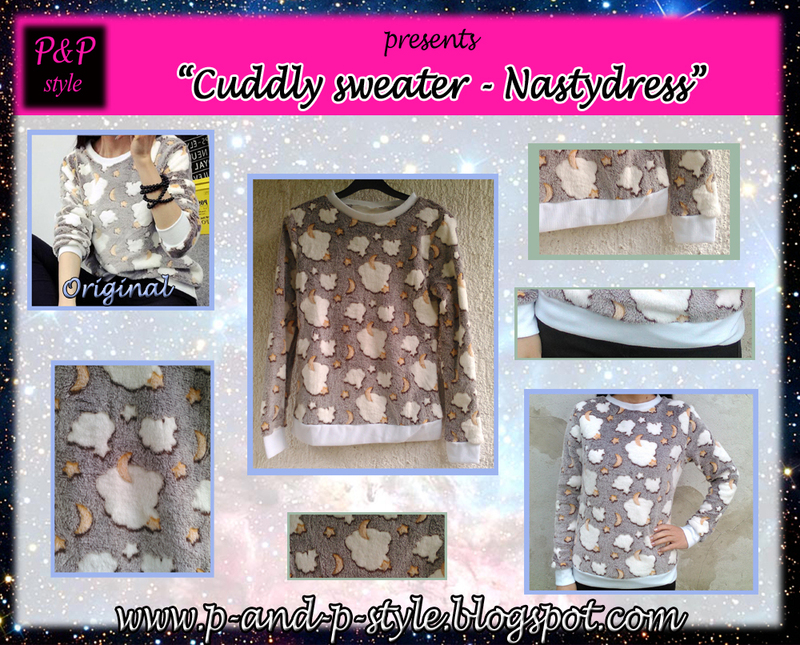 The "cuddly" sweater is really cute.